by the general public or most businesses. 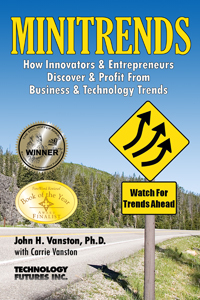 This book presents practical, proven techniques for discovering, analyzing, and exploiting attractive Minitrends, together with examples of successful applications of these techniques. Technology Futures publishes in-depth research reports providing analyses and forecasts of emerging technologies and markets. These reports are written for decision-makers looking for the competitive edge in specific technology and market areas. 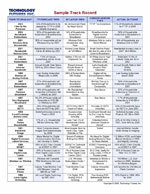 The telecom topics include many of the non-traditional telephony products and services from the broadcast, cable, computer, satellite, and wireless industrieds. To order TFI reports, please contact TFI directly at (512) 258-8898 or info@tfi.com. 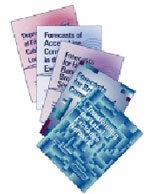 Technology Futures offers educational publications and monographs on forecasting techniques and methodologies. These methodologies can be used to address practical business problems in technology management, finance, marketing, and strategic planning. Be the first to hear about TFI's dates of upcoming minitrends, forecasting, and depreciation seminars and conferences, new forecasting white papers and reports, and more. Communication Technology Update and Fundamentals: 16th Edition -- New! Technology Futures' archive includes older and superseded publications that may still be of interest to our visitors, as well as a complete directory of articles from Technology Futures' popular journal, New Telecom Quarterly (NTQ). Published from 1993 through 1998, NTQ's articles still prove to be thought-provoking and informative. 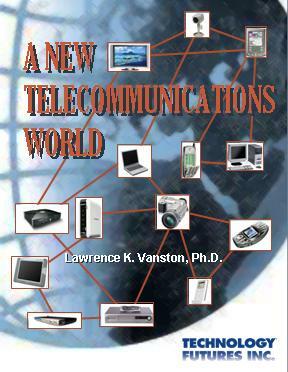 Also included is the report series: New Telecommunications Services for Business and Society: 1990-2010. If you would like to be informed when new Technology Futures' publications are available, please click here.